We all know that both diet and exercise are important. We know they work together to help keep our body healy. Pure determination to succeed and discipline are the two keys to help keep and manage our body’s health. Recently a new article published in the Archives of Internal Medicine ,January 2010, showed that diet alone may not be as effective as diet PLUS exercise in helping control ones blood pressure. BACKGROUND: Although the DASH (Dietary Approaches to Stop Hypertension) diet has been shown to lower blood pressure (BP) in short-term feeding studies, it has not been shown to lower BP among free-living individuals, nor has it been shown to alter cardiovascular biomarkers of risk. OBJECTIVE: To compare the DASH diet alone or combined with a weight management program with usual diet controls among participants with prehypertension or stage 1 hypertension (systolic BP, 130-159 mm Hg; or diastolic BP, 85-99 mm Hg). DESIGN AND SETTING: Randomized, controlled trial in a tertiary care medical center with assessments at baseline and 4 months. Enrollment began October 29, 2003, and ended July 28, 2008. PARTICIPANTS: Overweight or obese, unmedicated outpatients with high BP (N = 144). INTERVENTIONS: Usual diet controls, DASH diet alone, and DASH diet plus weight management. 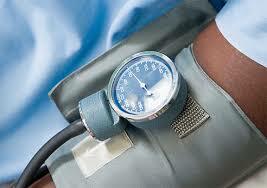 OUTCOME MEASURES: The main outcome measure is BP measured in the clinic and by ambulatory BP monitoring. Secondary outcomes included pulse wave velocity, flow-mediated dilation of the brachial artery, baroreflex sensitivity, and left ventricular mass. RESULTS: Clinic-measured BP was reduced by 16.1/9.9 mm Hg (DASH plus weight management); 11.2/7.5 mm (DASH alone); and 3.4/3.8 mm (usual diet controls) (P < .001). A similar pattern was observed for ambulatory BP (P < .05). Greater improvement was noted for DASH plus weight management compared with DASH alone for pulse wave velocity, baroreflex sensitivity, and left ventricular mass (all P < .05). CONCLUSION: For overweight or obese persons with above-normal BP, the addition of exercise and weight loss to the DASH diet resulted in even larger BP reductions, greater improvements in vascular and autonomic function, and reduced left ventricular mass. The above study showed that the famed DASH diet should be combined with exercise and weight loss to result in greater BP reductions than just the DASH diet by itself or usual diet. Likewise the study showed based on some biochemical markers that weight management augmented the cardiovascular benefits of the DASH diet. Overall this study tells us the importance of including behavioral modification and lifestyle programs for patients with high blood pressure. This is an important study result because the combination of diet and exercise should remain the cornerstone of therapy of any chronic diseases associated with high blood pressure including diabetes and high cholesterol. I just had the chance to teach the third year medical students again at Cebu Doctor’s University College of Medicine, my alma mater, this afternoon. I find it interesting how these students interact and how they intently listened to every word I said. I always find it fun to teach and lecture on people who are eager to learn be it the medical students, the residents or fellow doctors. I give lectures here and abroad but the best audience are those that you know are there because they want to learn. And the ones that are there are present because they believe they will go out of the lecture hall with hopes of getting something important from you!!! 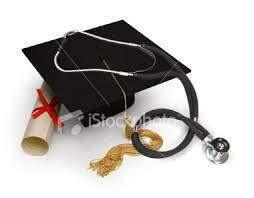 Is there pressure in giving lectures to medical students? I guess… they are the most critical. At Cebu Doctor’s, I just learned each student critics the professor at every lecture. I really dont know my score yet hehehe but I guess this practice is great for the teachers to know if they need to change their teaching skills. But am pretty confident with my skills having been voted “Teacher of the Year” by New York Medical College Medical students when I was there during my residency years. For those who will be visiting my website…any feedback? bad or good is welcome!!! I thank all my students old and new… because seeing you become doctors and successful in your own practice is worth our effort in spending time preparing for our lecture making sure they’re easy to comprehend, easy to digest and worthy of your time. And seeing you blossom to be great doctors in the future is all worth it! Just dont forget to say thank you to those who made marks in your life and who inspired you to be better! Teaching for me is a great way to share knowledge. I am blessed to have been taught in an institution where sharing of knowledge is the priority. I guess that’s what made my alma mater the Mayo Clinic world famous and that I will forever be indebted in the way medicine is taught and practiced in that institution which I hope I will continue to share to my students, residents and fellow doctors in my everyday life.